I’ll be completely honest, when I went Vegan 10 years ago, the hardest part for me, hands down, was giving up dairy. I hear it from almost all of my clients too. The thought of giving up cheese makes them anxious, which is a real reaction and for another post. I had this intense and long-running love/hate relationship with ice cream. Later, I would learn that it was totally the ice cream and not me, unlike I had told myself for years. I needed cheese in all my salads. “Healthy” cheese, of course, only mozzarella, feta, goat and the skim varieties. And let’s be real, no pasta dish is complete without it. I used milk in all my baking recipes and had grown up drinking whole or 2% milk my whole life. Dairy seemed to have a very special place in my heart like it does for many. I knew though it was integral in me making this shift to veganism, so I did it. No regrets here! It is by far one of the best decision I ever made! I am going to lay out some of the reasons that giving up dairy made total sense to me and why I have made the decision to keep it out of the diet for my family. Hopefully, this helps you make the shift too. We are not baby bovine! Like human mommies make milk for their newborn bundles of joy, cow mommies also make milk specifically for their toddler-sized newborn baby calves. The milk that humans make is perfectly composed of the proper quantities of all the essential vitamins, minerals, fats, probiotics, prebiotics, carbohydrates and proteins that a human infant needs to grow into a strong, healthy, vibrant human being. The milk that cows produce for their calves is composed of the proper quantities of all the essential vitamins, minerals, fats, probiotics, prebiotics, carbohydrates and proteins that a calf needs to grow into a strong, beefy (no pun intended), healthy and vibrant full-grown cow or bull. When we consume that cows milk we are also obtaining all the stuff needed to grow into full grown adult cows. Now that sounds amazing right?! Superhuman, bull-like strength. 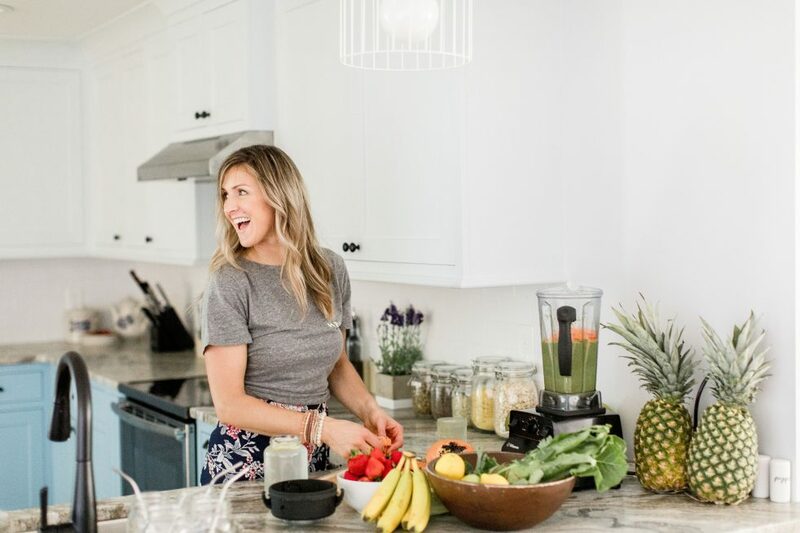 But the truth is, our bodies do not need those quantities of essential vitamins, minerals, fats, probiotics, prebiotics, carbohydrates, and proteins. We are not wired to assimilate them the way a baby cow is. We also got everything we needed from our mothers when we were nursed as infants. As adults, we can get everything we need from solid whole food sources. Genetics has us wired to only consume milk for the first few years of our lives. When we are born our bodies are equipped with the enzymes we need to break down the milk that our mother produces for us. Most of that milk is made of carbohydrates, for energy to grow and thrive. That enzyme for carbohydrates is called lactase. It breaks down the carbohydrate lactose in breast milk to use as energy. Around the age of 2 or 3 when most of us have stopped breastfeeding our bodies also stop creating those enzymes. Which makes total sense, right?! When we introduce cows milk into our diet the inability to properly digest the lactose in the cows’ milk ( because we are producing less of the lactase enzyme) can lead to damage in the small intestines which in turn leads to even less of the enzyme being produced. This becomes apparent when people start having dairy sensitivities. What is happening is the lactose in the cows’ milk is not being fully digested because we lack the enzyme to do so and it lends to a gunked up digestive tract. When our digestive track gets gunked up (and this can be a culmination of several other outside factors + the inability to break down lactose), other macronutrients, mainly proteins, can leak into our bloodstream (a.k.a. leaky gut) and can induce an allergic reaction. Research shows that 1/3 of the U.S. population has some sort of lactose sensitivity. The father of modern medicine, Hippocrates, said, “All disease begins in the gut.” Unfortunately, leaky gut has been linked to a whole host of other issues as well. You can learn more about those in the links below. As a side note: Our bodies are not selective in what it can and can not break down. So when our digestive systems are backed up we are not breaking down any of our food properly, not just the milk, which lends to other nutrient deficiencies in the body. It has long been believed that cows milk is an excellent source of calcium, which it is, but what you haven’t been told is that the excessive amount of protein in the cows’ milk, needed to grow a whole huge cow can create a very acidic environment in the body. The body likes to keep a nice homeostatic pH of about neutral and when we introduce cows milk into the body the byproducts of its digestion lowers our pH to a more acid level. To counteract this change in pH the body actually releases calcium from our bones and teeth to help bring things back to neutral. So the more milk we drink the more calcium we are actually loosing. This happens so often that the bones are actually rebuilt about every 10 years. Consuming large amounts of dairy (cheese, ice cream, milk, and yogurt) and not enough fresh leafy greens, fruits and herbs to counteract that change in the pH over time can lead to weak bones, bad teeth, and even depression. The good things are that you can get adequate amounts of calcium from a diet rich in dark leafy greens, broccoli, bok choy, watercress, okra, chickpeas nuts and nut milks. So these are just a few of the reasons. I could get into the whole ethical/environmental aspect of it and how that leads to a myriad of other health issues. I can also tell you the benefits I reaped and my clients have noticed once giving it up but I will save that for another time. Ultimately, when I weigh the negative affects versus health benefits, milk just flat out loses. We can obtain way more benefits from a diet void of dairy and full of beautiful, vibrant and nutrient-dense fresh fruits, veggies, nuts, and seeds. Have you given up dairy? Let me know your experience and some things you have learned. Comment below! !